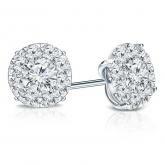 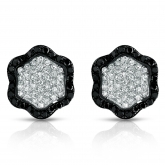 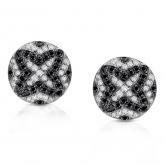 Maximize the impact of your diamond studs with our diamond cluster earrings. 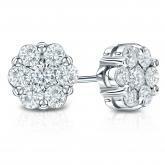 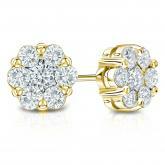 Here, each cluster stud features a center diamond surrounded by six smaller diamonds. 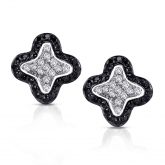 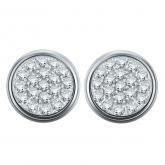 This grouped design offers a brilliant effect, giving you seven times the sparkle of a traditional stud. 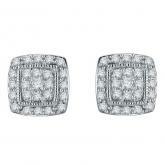 Certified 10k White Gold Round Cut White Diamond Earrings 0.50 ct. tw.